Baking shows and Instagram have raised the bar so high for homemade cakes, many would-be bakers are intimidated by the thought of making their own. But we've got you covered with some great recipes. 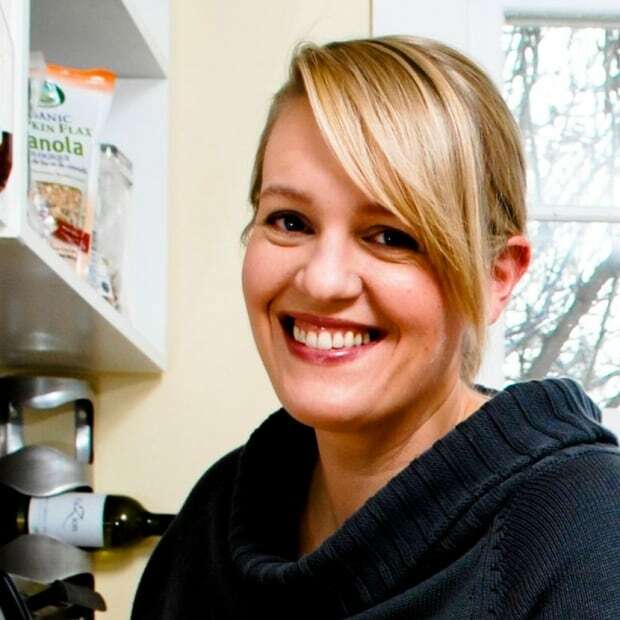 Baking shows and social media have raised the bar so high for homemade cakes, many would-be bakers are intimidated by the thought of making their own. But who doesn't love a good, wonky buttercream layer cake? If the thought of frosting a cake stresses you out, there's always the option of a bundt cake, which tends to be dense, moist and not as sweet, with no real need for icing. Dust it with some icing sugar, make a simple drizzle or ganache made with equal parts warm cream and chopped chocolate or chocolate chips. 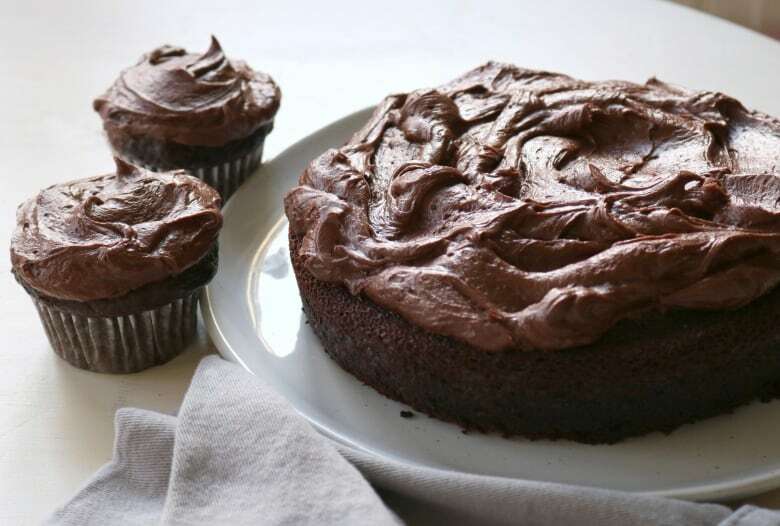 If you're frosting layers and want to prevent crumbs in the frosting, make a big batch of frosting and spread a thin layer all over the cake without worrying about all the crumbs that get caught up in it. If you love frosting but find buttercream can be too sweet, try the old-fashioned ermine frosting below; it's a dream to work with, and is so soft it doesn't pull up crumbs. If you're celebrating Nowruz (Persian New Year) this week, the baghlava cake has all the flavours of traditional baghlava, without fussing with phyllo. The recipe comes from the cookbook Bottom of the Pot, by Naz Deravian, only I swapped strong earl grey tea for the rosewater. 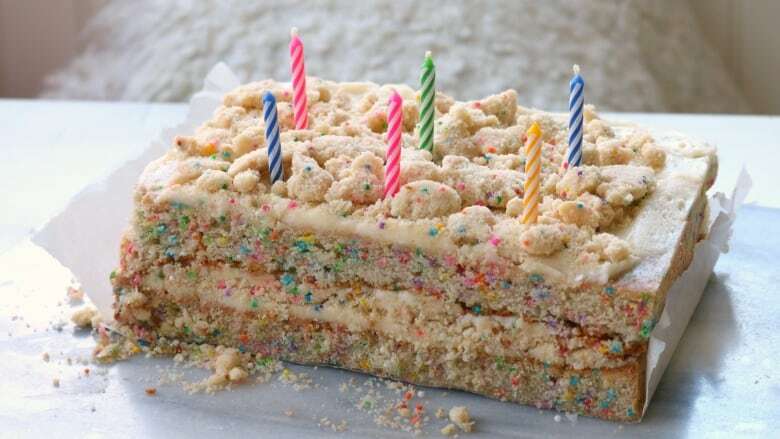 And the Milk Bar birthday sheet cake is a streamlined version from Christina Tosi's book, All About Cake. 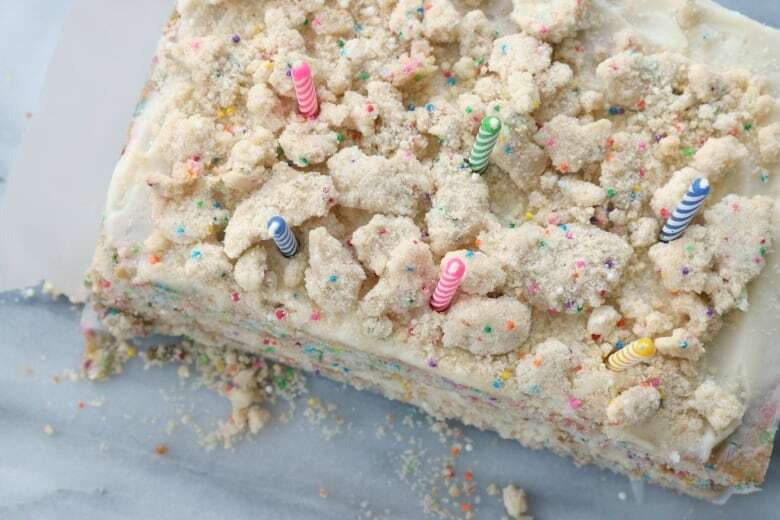 It's birthday cake extreme, with a cup and a half of sprinkles (a trip to Bulk Barn might be in order) and tons of vanilla, and a layer of birthday cake crumbs in between for added crunch — a signature move for Milk Bar cakes. Ermine is an old-school frosting that apparently was the original one used for red velvet cakes. It has an unorthodox method, but produces a ridiculously fluffy, not-too sweet frosting that's a dream to work with. I use a ratio I found in the New York Times as a starting point, and added cocoa from there. As with other frostings, you could play around with different flavoured extracts, instant coffee or citrus zest to create different flavours. In a medium saucepan, whisk the flour and milk over medium-high heat until it bubbles and thickens. It will resemble thick, pasty pudding. Scrape it into a bowl and set it aside to cool, with a piece of plastic wrap on the surface to prevent it from getting a skin. In a large bowl (a stand mixer works well here), beat the butter and sugar for a few minutes, until pale and fluffy. Add the cooled milk mixture in spoonfuls, whipping for a good five minutes or so, until the mixture resembles whipped cream. (If the sugar is still a bit grainy, keep on whipping until it isn't.) 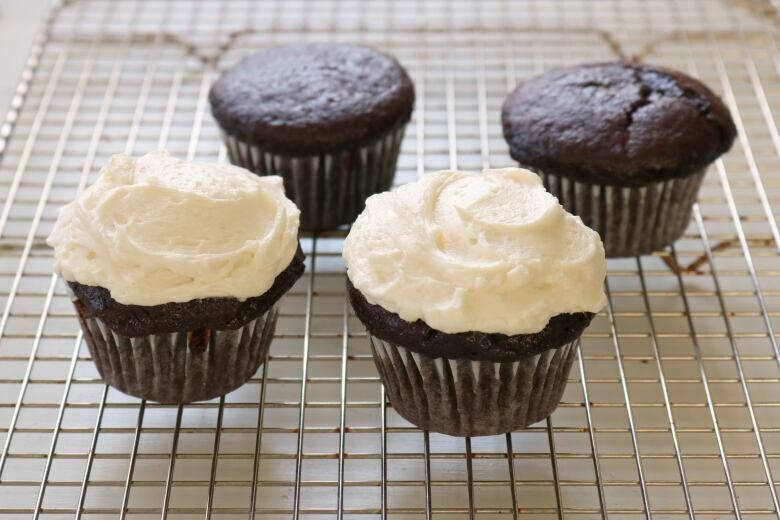 If you want chocolate frosting, add the cocoa and whip until it's well-incorporated. This recipe comes from the cookbook Bottom of the Pot, by Naz Deravian, who serves it for Persian New Year. It's made with olive oil and almond flour, which is finer-textured than ground almonds. And while rose water is easy to find, if you don't have it on hand, I swapped strong earl grey tea, which was delicious. Preheat the oven to 350 F and line a 9x13-inch pan with parchment, leaving enough overhang to lift it out. In a small bowl, combine the flour, baking powder, baking soda and salt. Set aside. Beat the eggs and sugar until well combined. Add the olive oil, rose water or tea and cardamom. Add the flour mixture and the almond flour in alternating batches, mixing just until combined. Spread the batter into the prepared pan, spreading it into the corners. Bake for 30 minutes, until golden and springy to the touch. While the cake bakes, combine the sugar and ½ cup water (or ¼ cup, if you're using honey) to a gentle simmer to dissolve the sugar, then simmer for three minutes. Remove from the heat and add the rose water. Remove the cake from the oven and lift it out of the pan onto a board. Cut it into diamonds or 1½-inch squares. Using a spoon or pastry brush, drizzle or brush the glaze over the warm cake, pausing in between to allow the cake to absorb the glaze. Sprinkle with pistachios. Serve at room temperature or refrigerate the cake and serve it chilled. This comes from Christina Tosi's 2018 book, All About Cake. It's a bit of a production, but I've streamlined things a bit, and made a few tweaks. All the Milk Bar sheet cakes are brushed with a soak for added moisture and flavour, but I omitted this step; if you want to do it, brush the bottom cake layer with a mixture of ½ cup whole milk and 2 tsp vanilla extract. Her cakes are baked in quarter sheet pans, but not everyone has them — since they're 9x13", a 9x13" pan works well, too. The recipe calls for clear vanilla to keep the colour bright (especially in the quantities it calls for), but regular vanilla is fine, and will just make a slightly darker, more French vanilla-hued cake. And the frosting calls for a pinch each of baking powder and citric acid, which I've omitted — and bumped up the ratio of butter to sugar (it was almost 1:1 butter/shortening/cream cheese to icing sugar) with a bit of added cream. The crunchy birthday cake crumble is brilliant; you can keep a stash of it to sprinkle on everything. (And it's fine with all-purpose flour, a tender texture isn't key here.) This cake is perfect for feeding a crowd. It's so easy to cut into tall squares. Make the birthday crumbs: preheat your oven to 300 F. Combine the flour, sugars, sprinkles, baking powder and salt in a large bowl. Add the oil and vanilla and stir well by hand or with the paddle attachment of a stand mixer until well combined. The mixture will come together in small clumps. 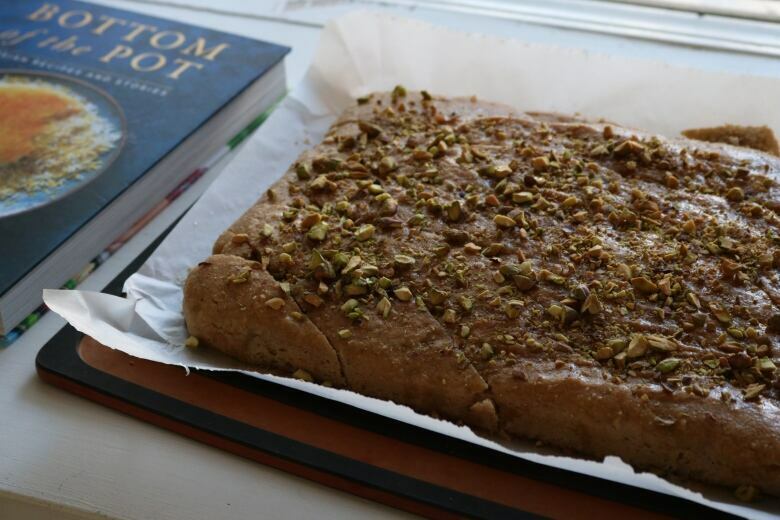 Spread on a parchment-lined sheet pan and bake for 20 minutes, breaking them up occasionally. The crumbs will still be a bit moist but will harden and dry as they cool. Set aside to cool completely. To make the cakes, preheat the oven to 350 F. Spray two quarter sheet pans or 9x13-inch pans, or line them with parchment. Combine the butter, shortening and sugars in the bowl of a stand mixer fitted with the paddle attachment and beat on medium-high for 2-3 minutes, until light and fluffy, scraping down the side of the bowl occasionally. Add the eggs one at a time, beating for a minute after each addition. Beat on high for four more minutes. Combine the buttermilk, oil and vanilla and with the mixer on low speed, pour the mixture in very slowly. Scrape down the side of the bowl, increase the speed to medium-high and beat for another two to three minutes, until the mixture is fluffy, homogenous and almost white. Whisk together the flour, sprinkles, baking powder and salt. With the mixer on low, slowly add the dry ingredients and mix for 45-60 seconds, just until the batter comes together. Mix for an additional 30 seconds or so. Divide the batter evenly between the pans and spread to even out the batter and smooth the top. Bake for 30 minutes, or until the cakes are golden and springy to the touch. Let the cakes cool completely in the pans on a wire rack. To make the frosting, beat the butter, shortening and cream cheese (if using) for a few minutes, until fluffy and smooth. Add the icing sugar, ¼ cup of the cream, the vanilla and salt and beat on low until it starts coming together, then increase the speed and beat for two to three minutes, adding a little more cream if needed to achieve a fluffy, spreadable frosting. To assemble the cake, invert one of the layers onto another sheet pan or cutting board and spread with ¼ of the frosting. Sprinkle with about half the birthday crumbs. Spread another ¼ of the frosting on the other cake layer, then invert it onto the first layer, making a sandwich with icing and crumbs between. Spread the remaining frosting on top. If you like, wrap and freeze the cake overnight. If you like, cut the sides of the cake with a serrated knife (this is easier when the cake is frozen or partially frozen) to even them out and expose the sprinkly inside. Top the cake with the remaining crumbs. Serves 15-20.